By LUDWIG VON KOOPA - The Frozen Oasis of Super Mario Odyssey, at that! ...If YOU want to stay out of trouble, be sure to keep track of the E3 Weeks 2017 action with the E3 Weeks 2017 Schedule! (1:37:35 PM) Ludwig Von Koopa: sooooo second time. (1:37:56 PM) Ludwig Von Koopa: Kindra here, playing as a female character. (1:38:02 PM) Ludwig Von Koopa: Looks androgynous. (1:38:47 PM) (rawkhawk2010) Is this the same game with the playable giraffe? (1:38:53 PM) (rawkhawk2010) Who was mining for things in that dungeon? (1:39:06 PM) Ludwig Von Koopa: I don't remember. (1:39:11 PM) Ludwig Von Koopa: I only remember Noots. (1:39:18 PM) Ludwig Von Koopa: That's a giraffe? (1:41:07 PM) (rawkhawk2010) That's the giraffe. (1:41:51 PM) Ludwig Von Koopa: ...I don't know how to react to this. (1:42:16 PM) Ludwig Von Koopa: This bookworm named Isaac moved into your Oasis because you got a bookstore. (1:42:19 PM) Ludwig Von Koopa: ...'kay. (1:42:45 PM) Ludwig Von Koopa: New content: Labyrinths. (1:42:55 PM) Ludwig Von Koopa: Hope not. (1:43:01 PM) Ludwig Von Koopa: I'm sick of customisable heroes in Smash. (1:43:40 PM) (rawkhawk2010) I like your choice of the word "heroes"
(1:44:31 PM) (rawkhawk2010) The main villain of this game is named Chaos. (1:44:52 PM) (rawkhawk2010) That's at least the third time this has happened. (1:45:11 PM) (rawkhawk2010) Final Fantasy 1, Sonic Adventure, etc. (1:45:37 PM) (rawkhawk2010) Though "Demise" isn't much better. (1:46:02 PM) Ludwig Von Koopa: They summoned enemies. (1:46:05 PM) Ludwig Von Koopa: 'cause they picked left. (1:46:29 PM) (rawkhawk2010) Did Audrey rub off on her? (1:47:07 PM) Ludwig Von Koopa: Nah all of Audrey's quotes end in tildes. (1:48:35 PM) (rawkhawk2010) Structurally this is literally the same thing we watched last E3. (1:48:58 PM) Ludwig Von Koopa: Well this is a side thing. (1:49:03 PM) Ludwig Von Koopa: Instead of a main dungeon. (1:51:35 PM) Ludwig Von Koopa: The Chaos Chest didn't accomplish much. (1:52:36 PM) Ludwig Von Koopa: I haven't screenshotted once. (1:52:49 PM) Ludwig Von Koopa: Since all I care about the Noots and they're only shown zoomed out back in the Oasis. (1:53:31 PM) Ludwig Von Koopa: I'm not. (1:55:38 PM) (rawkhawk2010) "The music in this game is amazing." (1:56:01 PM) Ludwig Von Koopa: It's been hard to hear the music throughout the Treehouse Live. (1:56:05 PM) Ludwig Von Koopa: They said that about Miitopia. (1:56:15 PM) (rawkhawk2010) And Yoshi. (1:56:16 PM) Ludwig Von Koopa: Having played the demo for a bit I don't think anything of it. (1:56:42 PM) Ludwig Von Koopa: Woolly's World was okay in terms of music. (1:56:57 PM) Ludwig Von Koopa: But it was getting annoying in this stream. (1:57:56 PM) Ludwig Von Koopa: And played across multiple levels which makes me wonder how prominent it'll be. (1:59:55 PM) Ludwig Von Koopa: I took a screenshot of the Scrimpion. Attacking its weak point for massive damage! (2:01:35 PM) Ludwig Von Koopa: I published this during Ever Oasis being shown. (2:02:15 PM) Ludwig Von Koopa: it always looked bad. (2:02:18 PM) Ludwig Von Koopa: ...but yeah, ick. 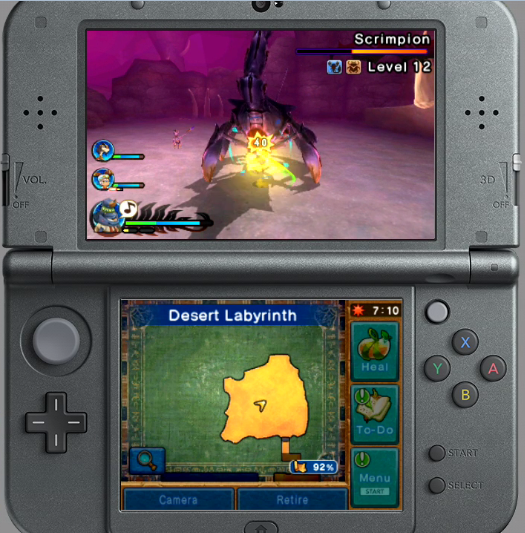 (2:07:37 PM) Ludwig Von Koopa: Free demo available at the Nintendo eShop for Ever Oasis. (2:07:43 PM) Ludwig Von Koopa: Well, maybe I'll like it more after playing. (2:07:54 PM) Ludwig Von Koopa: It can redeem this log! (2:10:24 PM) Ludwig Von Koopa: Back. (2:10:27 PM) Ludwig Von Koopa: Wot'd I miss? (2:11:06 PM) Ludwig Von Koopa: My favourite answer. (2:11:50 PM) Ludwig Von Koopa: You know how Twitter changed? (2:12:05 PM) (rawkhawk2010) Twitter changed because GAB changed? (2:12:17 PM) Ludwig Von Koopa: Now it's...I dunno. (2:13:15 PM) Ludwig Von Koopa: And a bunch of Japanese dudes. (2:13:21 PM) (rawkhawk2010) Doesn't Miyamoto usually show up for Treehosue Live at least once? (2:13:34 PM) Ludwig Von Koopa: This time, the developer is playing. (2:13:38 PM) Ludwig Von Koopa: Sand Kingdom at night. (2:13:41 PM) (rawkhawk2010) Maybe he's still playing Rabbids. (2:13:46 PM) Ludwig Von Koopa: There's an oasis in the distance. (2:14:15 PM) Ludwig Von Koopa: There are costumes that will prevent shivering. (2:14:23 PM) (rawkhawk2010) Sounds like...Breath of the Wild. (2:14:33 PM) Ludwig Von Koopa: King Bowser has wedding posters in Tostarena Town, too. (2:14:38 PM) (rawkhawk2010) I like the ambience here. 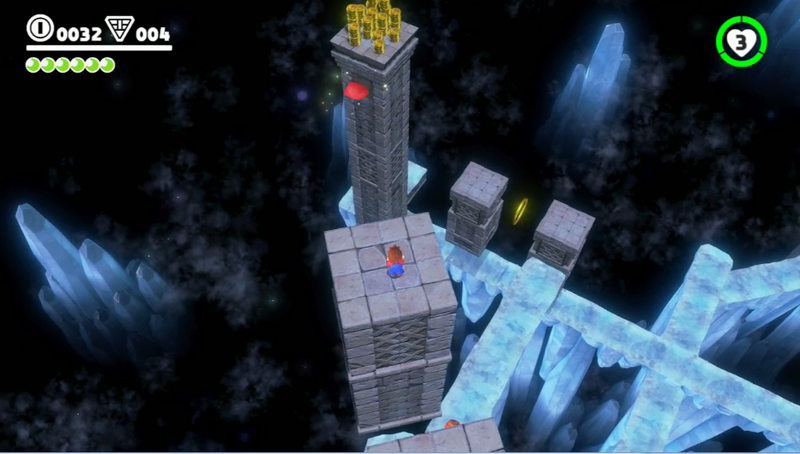 (2:15:56 PM) Ludwig Von Koopa: Cappy thinks the frozen Lakitu is pretty. Why is Cappy randomly italicising letters? (2:17:12 PM) Ludwig Von Koopa: but they failed to get them. (2:17:17 PM) Ludwig Von Koopa: Glowing bird! (2:17:52 PM) Ludwig Von Koopa: A "special move" you can do on the Switch. 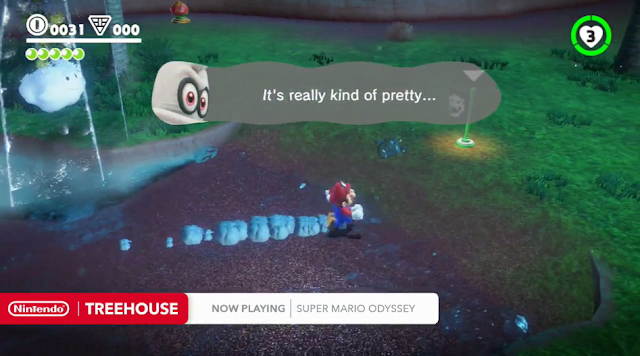 Super Mario Odyssey lets you play as the franchise villain, Cappy. (2:19:03 PM) Ludwig Von Koopa: Cappy flies around. 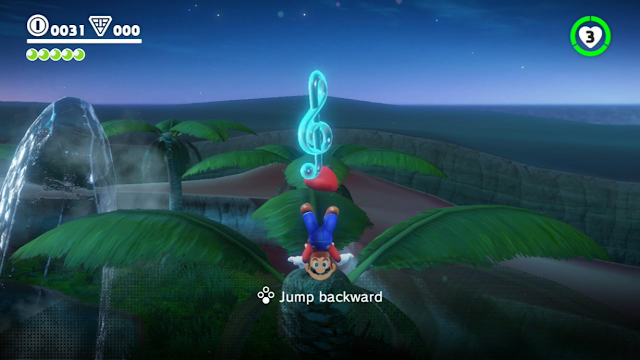 (2:20:00 PM) Ludwig Von Koopa: So Cappy can fly around and collect music notes. (2:20:00 PM) (rawkhawk2010) Sam says she doesn't think a hat has ever been a player character. (2:20:18 PM) Ludwig Von Koopa: Cappy can't collect the moon, though. (2:20:33 PM) Ludwig Von Koopa: Cappy's range is restricted by how far they are away from Mario. (2:20:36 PM) Ludwig Von Koopa: Cappy is invincible. (2:21:15 PM) Ludwig Von Koopa: Cappy can't kill dudes by itself though. (2:21:18 PM) Ludwig Von Koopa: Just stun them. (2:21:24 PM) Ludwig Von Koopa: ...I think. (2:22:13 PM) Ludwig Von Koopa: You can't throw your hat while holding objects but that doesn't apply to multiplayer. 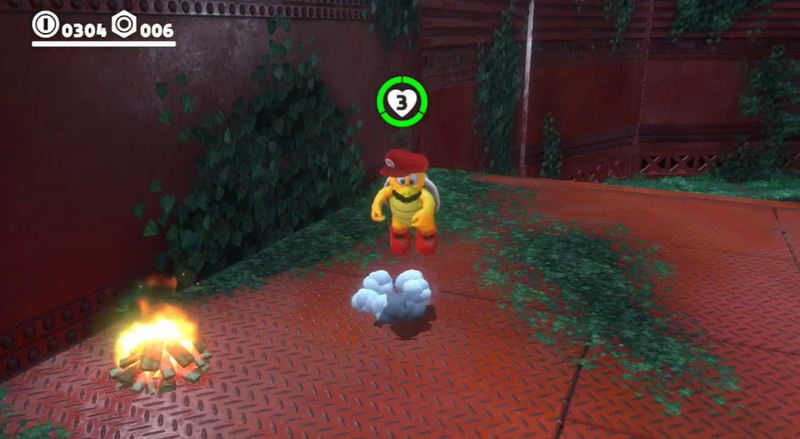 (2:23:00 PM) (rawkhawk2010) Cappy assaulting innocent NPCs. (2:23:04 PM) Ludwig Von Koopa: Yeah. (2:23:10 PM) Ludwig Von Koopa: Typical ultimate evil. (2:24:32 PM) Ludwig Von Koopa: While saying they got inspired by a trip to Mexico. (2:24:43 PM) (rawkhawk2010) The team went to Mexico and thought it was a place where Mario's moves would be helpful. (2:24:52 PM) (rawkhawk2010) Like jumping over the border? (2:24:55 PM) Ludwig Von Koopa: Apparently, Goombas don't slip on ice. (2:25:27 PM) Ludwig Von Koopa: Both plumber and Cappy can adjust the camera. 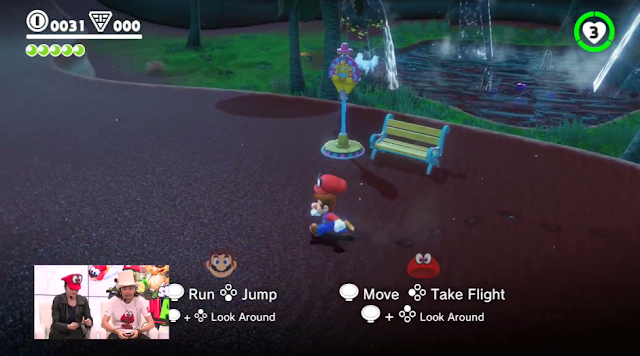 Player 2 (Cappy) can extend out there, and then Mario can run and jump off of Cappy and to the coin stack. (2:26:04 PM) (rawkhawk2010) I like the idea of having a playable platform. (2:26:08 PM) Ludwig Von Koopa: Yeah. (2:26:26 PM) Ludwig Von Koopa: "That would be possible in single-player but it's a lot easier in multiplayer"
(2:26:29 PM) (rawkhawk2010) I can't think of when that's been done in 3D, with full vertical freedom. (2:26:37 PM) Ludwig Von Koopa: So could you play multiplayer with yourself? (2:27:45 PM) Ludwig Von Koopa: That the Nintendo Switch makes it easier to play multiplayer with yourself than any game previously? (2:28:15 PM) Ludwig Von Koopa: They're discussing the biosphere. (2:28:21 PM) Ludwig Von Koopa: In the woods. (2:28:49 PM) Ludwig Von Koopa: The kingdom is a giant greenhouse. (2:28:57 PM) (rawkhawk2010) For wedding flowers. (2:29:00 PM) Ludwig Von Koopa: It's where the flowers are being raised for the wedding ceremony. (2:29:15 PM) Ludwig Von Koopa: So why are the robots upset about the flowers being taken? (2:29:19 PM) Ludwig Von Koopa: That's why they're there. (2:29:27 PM) Ludwig Von Koopa: Every kingdom will be related to the wedding in some way. (2:29:34 PM) Ludwig Von Koopa: They haven't shown swimming. (2:29:47 PM) Ludwig Von Koopa: But also a different environmental texture. (2:30:01 PM) Ludwig Von Koopa: So how does multiplayer work when in a transformation? Comment if you feel bad for the Fire Bro. (2:30:19 PM) (rawkhawk2010) This was considered a "spoiler" earlier. (2:30:23 PM) (rawkhawk2010) Which is why Sam wouldn't go here. Fire Bro. moves by hopping, but he can also jump pretty high! (2:31:45 PM) Ludwig Von Koopa: Shiny shell. (2:32:00 PM) Ludwig Von Koopa: Fire Bros can't walk. (2:32:01 PM) (rawkhawk2010) So Bros can't walk. (2:32:05 PM) Ludwig Von Koopa: They automatically hop. 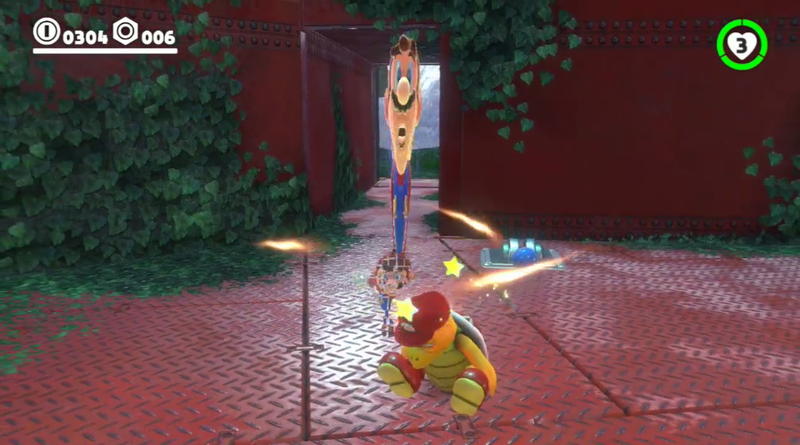 (2:33:40 PM) (rawkhawk2010) I hope when Capturing the Koopa Troopa you can shell spin. (2:34:29 PM) Ludwig Von Koopa: Point taken. (2:35:00 PM) (rawkhawk2010) This whole place reminds me of Planet Wisp from Sonic Colors. (2:35:04 PM) (rawkhawk2010) Do you remember Planet Wisp? (2:36:05 PM) Ludwig Von Koopa: Realistic fish. They're hard to see, but the top-left corner of the screen has the realistic fish. (2:36:13 PM) (rawkhawk2010) With the same colors. (2:36:30 PM) (rawkhawk2010) I wanna see Mario be a Cheep Cheep. (2:36:57 PM) (rawkhawk2010) ...I also wanna see Mario drown. (2:37:06 PM) Ludwig Von Koopa: Me too. 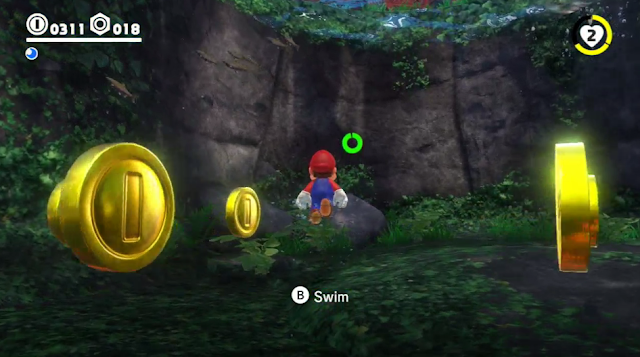 (2:37:59 PM) Ludwig Von Koopa: Underwater warp pipe results in sidescrolling water segment. (2:38:41 PM) Ludwig Von Koopa: Perhaps not. (2:39:24 PM) Ludwig Von Koopa: This is the last Odyssey segment of Treehouse Live. (2:39:28 PM) Ludwig Von Koopa: "Any last words?" (2:39:37 PM) Ludwig Von Koopa: "hi"
(2:40:16 PM) Ludwig Von Koopa: They want to emphasise there is so much to the game not shown. (2:41:21 PM) Ludwig Von Koopa: Well, that's it for Odyssey! (2:41:44 PM) (rawkhawk2010) They did good to excite people with the Fire Bro. 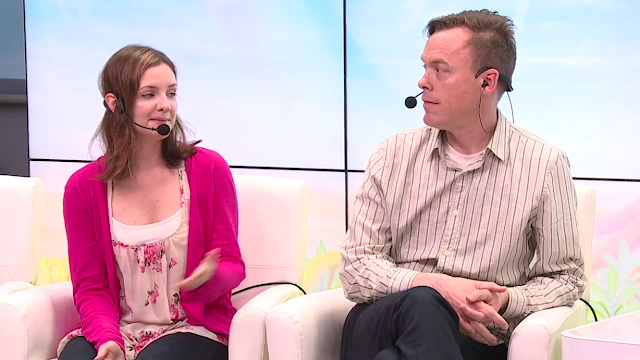 There's more live reaction action up next on KoopaTV, with some action games! Ludwig is startled at more Splatoon 2 since the log preceding this was also Splatoon 2. KoopaTV decided to just put the rest of Treehouse Live in the log after this. I am going to try to go to Nintendo NY tomorrow and will hopefully try out the Odyssey demo. If you do pleaaaaaase tell us about it! Got back from Nintendo NY and my husband and I played the demo. I am very exhausted now but will write up my thoughts in a few days.